Check out this rare renovated duplex with excellent investor or owner occupied opportunity, it offers two large apartments on sought after Village Drive! 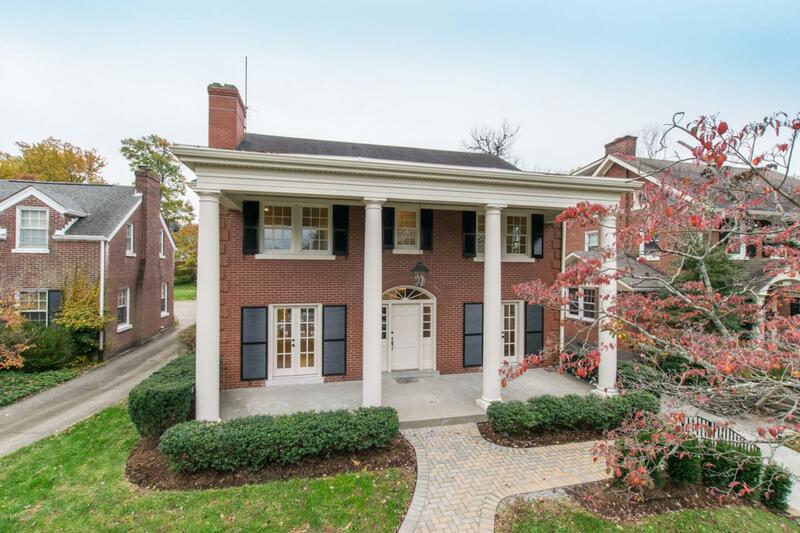 This elegant brick two-story with charming front porch and stately columns has been completely updated. Both units offer two bedrooms, one bath, (first floor unit has a second bath in the newly finished lower level. )Both units also have formal dining and living rooms with cozy fireplaces, and spacious family rooms surrounded by new windows with picturesque views to the new private patio and professionally landscaped and fenced back yard. Units also have new kitchens featuring granite counters with convenient breakfast bar, farmhouse stainless sinks, gas ranges, and appliances. The beautiful new chandeliers and lighting,gleaming refinished hardwood floors and classic moldings throughout elevate these units. There is also a two car garage with automatic door openers. Each unit has a private entrance and access to a newly finished basement with private laundry room and additional storage. In addition, the first floor unit also has access to a newly finished rec room while the second-floor unit has private access to the third floor attic for additional storage. Other updates to the building include: new insulated windows (wood with aluminum clad on exterior), new exterior doors with Baldwin hardware, new HVAC systems, and hot water heaters for each unit, as well as new electrical panels and separate gas and electric meters for each unit. Don't miss out on this unique investment opportunity!